China’s banking and insurance regulators will merge and the central bank will be authorized to draft rules governing the two industries, the government announced on Tuesday. 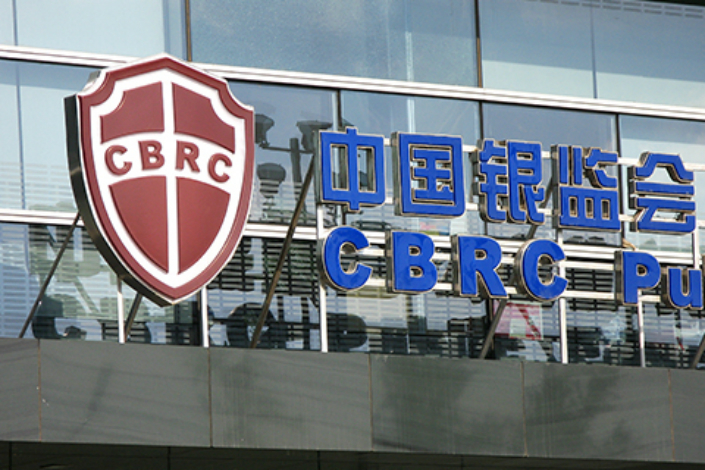 The China Banking Regulatory Commission (CBRC) and the China Insurance Regulatory Commission (CIRC) will be combined into a single commission overseeing both sectors under the direct control of the State Council, China’s cabinet, according to an official document submitted for review by the National People’s Congress, the top legislature. The People’s Bank of China (PBOC) will take over the role of drafting key regulations and designing the basic rules for prudential oversight for the banking and insurance industries, which are now assumed by the CIRC and CBRC. The banking regulator supervises more than 4,000 lenders across the country with 252 trillion yuan ($39.8 trillion) in total assets as of the end of 2017. Established in 1998, the CIRC oversees a sector with more than 16.7 trillion yuan in assets. The reform, part of the nation’s overhaul of government agencies, marks the most significant change in the structure of China’s financial regulatory framework since the CBRC was created in 2003, as the country attempts to better control risks springing from an industry that has become increasingly sophisticated and opaque. The restructuring of the financial regulatory system aims to “solve the problems in the existing framework, including unclear regulatory responsibilities, overlapping regulation, and gaps in regulation,” State Councilor Wang Yong said in a report to the National People’s Congress explaining the overall government overhaul plan. The new system will “strengthen comprehensive regulation, optimize the allocation of regulatory resources, and better coordinate the regulation of financial institutions of systemic importance,” he said. Since 2003, China’s banks, securities firms and insurers have been separately supervised by the CBRC, the CIRC and the China Securities Regulatory Commission, which was set up in 1992. 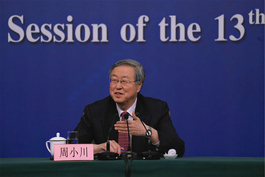 The PBOC has focused on setting monetary policy. But this divided framework has had an increasingly difficult time keeping up with the dramatic expansion of the financial industry, in which institutions exploit regulatory gaps to invest in each other in what are often opaque, complicated webs — so much so that a massive shadow banking system outside regulatory oversight has flourished. The situation has sparked increasing concerns about financial stability among China’s top leaders. In July, a new cabinet-level body — the Financial Stability and Development Committee — was created and housed in the central bank. The committee is seen as a step toward greater coordination among the regulators. The combination of some of the regulators themselves has been a regular topic of discussion in recent months as policymakers have weighed how to best carry out reform of the highly fragmented existing regulatory framework. The merging of the CBRC and the CIRC will close loopholes in the current system that have been exploited by financial firms to skirt restrictions on their operations, allowing them to make risky, off-balance-sheet investments in pursuit for higher returns, said Moody’s Investors. “The consolidation of the banking and insurance regulators would streamline and unify regulation, especially on shadow-banking activities, by reducing the room for regulatory arbitrage,” the company said in a note. 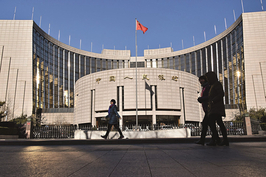 The point of granting the power to draft financial regulations and policies to the central bank is to separate the regulatory responsibilities of enforcement and promoting development, said Xu Zhong, head of the PBOC’s research department. “An important reason behind the disorder in China’s financial system and the rise in risk at the local levels in recent years has been the conflicting goals of regulators, who are tasked with both responsibilities of promoting development and enforcing regulations,” he wrote in an article published Tuesday. Separating these roles will allow regulators to “focus on regulation and therefore improve the professionalism and effectiveness of regulation,” he said. A source close to the regulators, who declined to be named, told Caixin previously that a merger of the CBRC and the CIRC would “make sense” because even though their businesses are unrelated, they share a “regulatory rationale” based on capital adequacy. Many of the policies the CBRC and CIRC have individually issued in recent years have been similar, including those tightening control over the ownership of banks and insurers, on the use of the financial institutions’ funds and on shadow banking activities. The government has yet to appoint a new head to the CIRC since its former chairman, Xiang Junbo, was placed under investigation in April for “severe violations of Party discipline” — a euphemism for corruption.